Buddhism (佛敎) is the pathway to enlightenment. The word Won (圓) literally means ‘circle’ and symbolizes ultimate reality or our true nature. Therefore, the name Won Buddhism means the path to the enlightenment to our true nature. Sotaesan, the founding master of Won Buddhism, attained enlightenment in 1916 in Korea at the age of 26, after many years of searching for the truth and doing many ascetic practices. Master Sotaesan, after his enlightenment, observed the modern world where the human spirit had become weakened and enslaved by the rapidly developing material civilization. He therefore established a communal life setting with the founding motto, “With this Great Unfolding of material civilization, Let there be a Great Unfolding of spirituality.” This was the beginning of Won Buddhism. Won Buddhism, as a reformed Buddhism and as a new religion, transforms the traditional Buddhist teaching. It makes the Buddhadharma more practical, more relevant, and more suitable to contemporary society so that the many people in the secular world can utilize it to enrich their actual lives. The goal of Won Buddhism is to lead all sentient beings to be free from suffering and distress. Won Buddhism embraces and accepts those of other faiths, and seeks to work together to create One World Community. With its open teaching, Won Buddhism has worked to realize a vision of a United Religions (UR), a counterpart of the United Nations (UN), because in these modern times all problems are fundamentally world problems and the cooperation of all religions and religious leaders is vital to build a lasting peace in the world. Won Buddhism leads a movement for inter-religious dialogue and cooperation. Won Buddhists have participated in and promoted local, national, regional and international inter-religious dialogue since 1970 and have been actively engaged in the World Conference of Religions for Peace (WCRP), the World Fellowship of Buddhists (WFB), and the Asian Conference of Religions for Peace (ACRP). In Won Buddhist temples, Buddha statues are replaced by the Il Won Sang image. The circular Won is not an object of worship but rather a symbol that points to the Dharmakaya Buddha, the truth that all Buddha, Bodhisattvas and sages enlighten to and the original nature of all sentient beings. What does 'Il Won Sang' mean? This Il Won Sang can literally be translated as, 'One circle image'. Il = one Won = circle Sang = image. In Won Buddhist temples, the Buddha image is replaced by the Il Won Sang image. The western philosopher Descartes said, "I think, therefore I am." One Zen master asked, "If you do not think, who are you?" There is a koan or spiritual question in Zen that states, "Before the buddhas of antiquity appeared, there was a perfectly round shape." When our minds are without any defilements, desires, or attachments, we are as clear as space and as clean and purely reflective as a perfect mirror. This is the realm before any thought arises. This is beginner’s mind. This is who we really are. In this pure space, all religions, all traditions, all philosophies can join together. This is our true home to which we all may return. 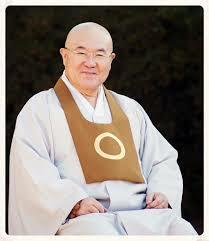 Venerable JeonSan (Juwon Kim, b.1948) is the sixth Head Dharma Master of Won-Buddhism. Venerable Jeonsan was elected as the new Head Dharma Maaster of Won Buddhism on Sep 18th, 2018. He was born in Jeonju, Korea in 1948. He excelled in high school, where he was first introduced to Won Buddhism by a friend. He quickly took to heart the teachings of the scriptures of Won Buddhism and became a practicing Won Buddhist. In the 12th grade, while serving Ven. Daesan, the 3rd Head Dharma Master, he stated his intention to enter the ministry. Soon thereafter he took the vow to become a minister under the guidance of Ven. Kyuntawon. Through ‘The Great Meaning of the Principle Book of Won Buddhism’ and the ‘Diagram of Doctrinal Practice of Won Buddhism’ by Ven. Daesan, he learned the spiritual source of the teaching of Won Buddhism. Through this, he could better understand the teaching and planning of Ven. Sotaesan, the founder of Won Buddhism. As he directly received the dharma words of Ven. Daesan, Ven. Jeonsan became convinced about the life of prayer. From this, his dharma wisdom advanced and his understanding of Truth deepened. By his early 40s, he was confident that his vow and faith would never recede. Ven. 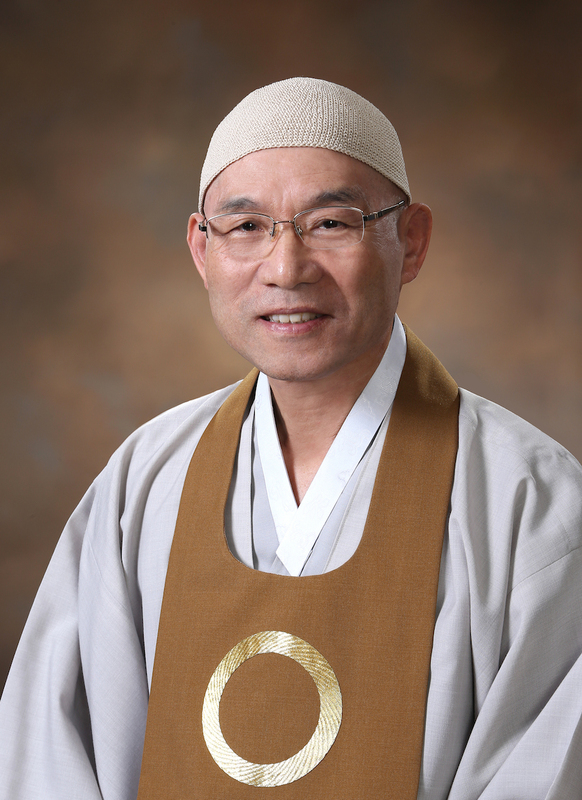 Jeonsan has served in various positions in the Won Buddhism Order, including Director of the Department of Internal Affairs, Director of the Won Buddhist Regional Office of Gyonggi and Incheon, and President of the Youngsan Collage of Zen Studies. Ven. Jeonsan established the basis for ‘the Head Dharma Master of Overseas Headquarters’ in the Constitution of Won Buddhism. He also initiated the effort to compile ‘The Dharma Words of Ven. Daesan’ as the Chairperson of the Compilation Committee. Venerable Kyungsan entered the Won-Buddhist faith at the age of twenty and graduated from the Department of Won-Buddhist Studies at Wonkwang University in 1968. He served as President of the Youngsan College of Zen Studies, Executive Director of Administration for Won-Buddhism, and Director of the Jung-ang Retreat Center before being inaugurated as the fifth Head Dharma Master in 2006. In addition, Venerable Kyungsan continues with his efforts to realize the ideals of his predecessor Venerable Daesan, the Third Head Dharma Master, whose Three Proposals for World Peace are the development of moral discipline for cultivating the mind, the opening up a common market, and the establishment of United Religions. Venerable Kyongsan’s particular devotion is the realization of world peace through inter-religious cooperation, uniting people of all religious faiths to work toward the establishment of a worldwide organization of United Religions, counterpart to the United Nations.